1) There is a very fine video that was done by Mr. Ed Sirois for his school community. There are also a large number of videos in Spanish about him, including this one featuring a Brother. 2) A small booklet – currently out of print – may be available in a local library. 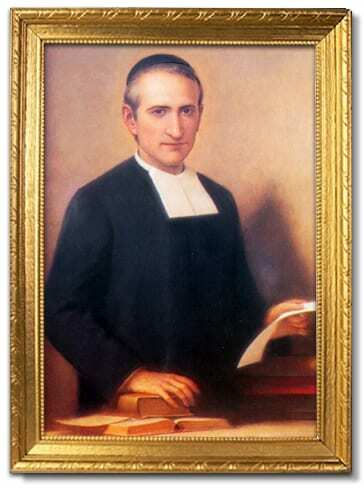 There are also Lasalliana articles about St. Miguel and the Sisters of the Child Jesus. 3) Further online information and links may be found at Wikipedia, WikiVisually, and other places. 5) The Vatican also has a page in Spanish about him. 6) His story is included is a small PDF booklet about all the Lasallian saints. 7) The Motherhouse in Rome has provided a PDF with the liturgical (Mass) readings and prayers for this Lasallian feast, and a webpage that includes his short biography and links to powerpoint presentations. What special spiritual characters of Bro. Miguel Febres Cordero to make him to become a Saint? What miracles did Bro. Miguel performed to be canonize to a saint?